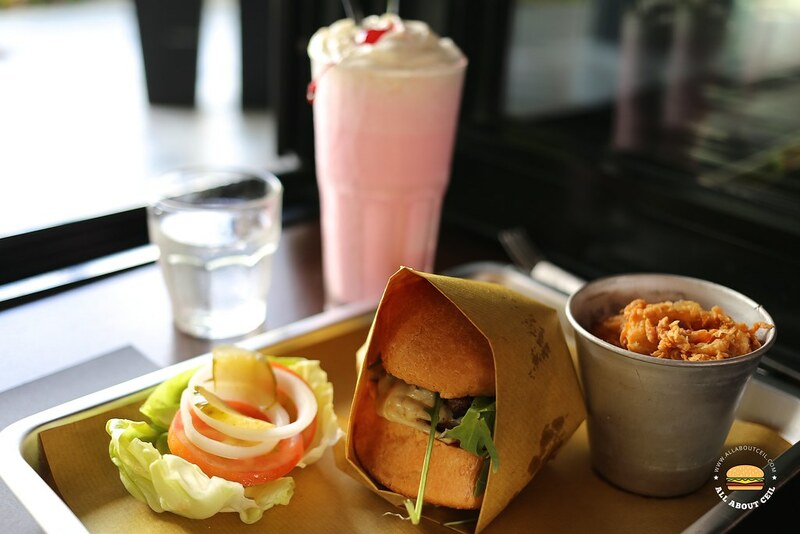 This burger & liquor bar originated from the famous Hollywood Roosevelt Hotel at Los Angeles in the United States with branches in Chicago and Bangkok; it has also recently opened a branch in Singapore at the G Hotel along Middle Road. It is named after the precise temperature difference between a raw and well-done hamburger. I was there on the Independence Day for lunch, the restaurant was almost full at that time, but it was still possible to get a table for 1 pax. 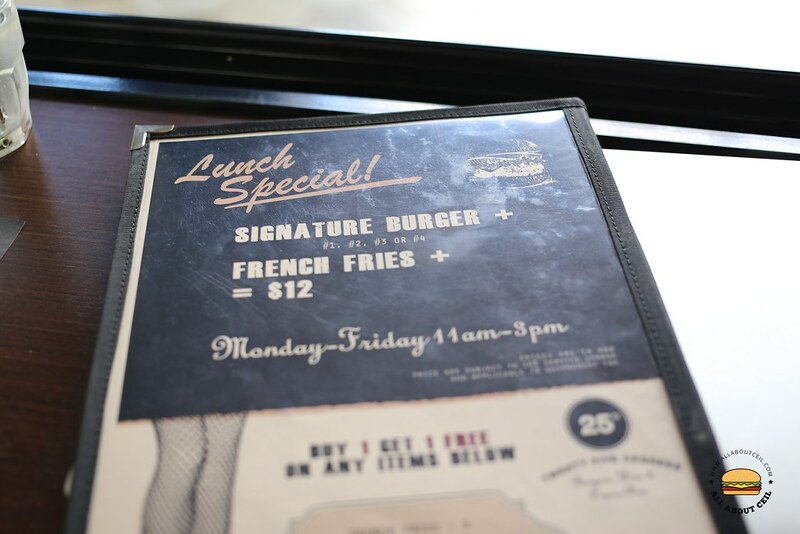 I was there for their lunch special that they have on weekdays, it consists of a burger with fries for just $12++. I asked for a recommendation and was told that Number One burger is their popular choice. I asked to change the fries to onion rings for an additional $1.50 to have it go along with a Strawberry Milkshake ($10.00++). 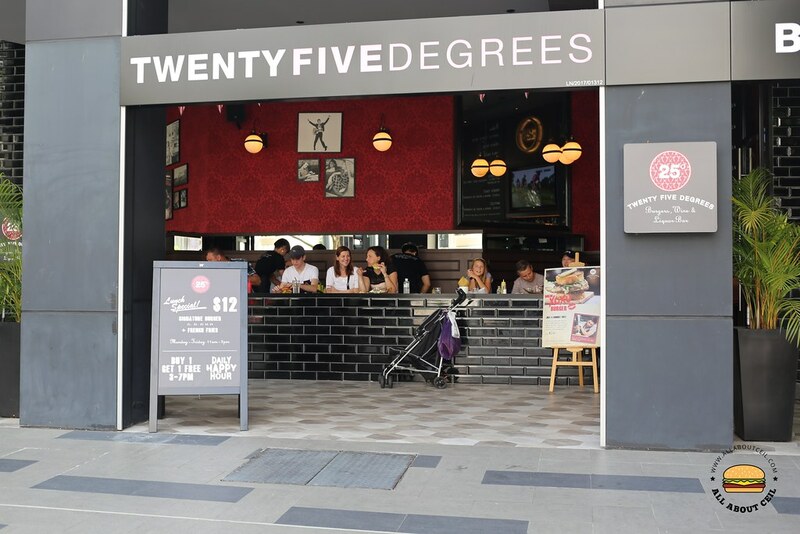 There is a total of 5 burgers on their menu; you could choose between the Number One, Number Two, Number Three, Number Four and also a Veggie Burger at $14 each. 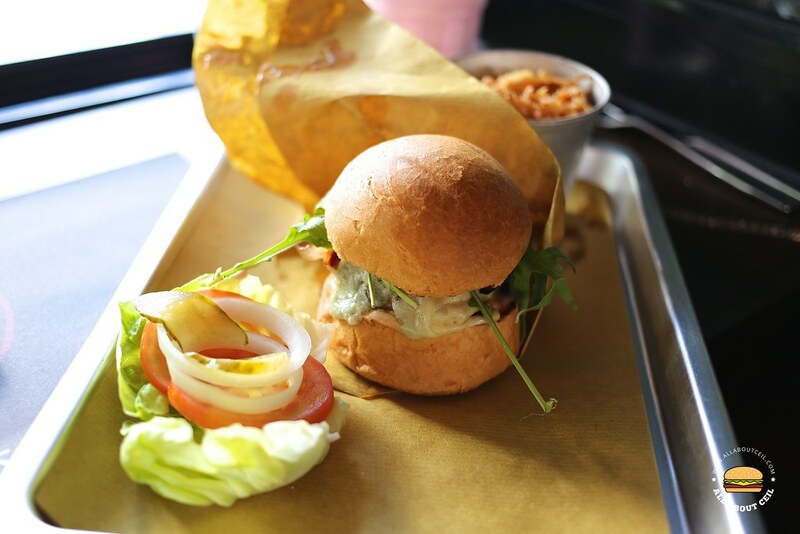 Number One to Number Two burgers are served with beef patties and different fillings, but Number Four is served with seared Yellowfin Tuna with lettuce, crispy fried onions, and spicy aioli. There is also an option to "Craft Your Own" burger by choosing the type of meat and cheese, sauces and even add on extra toppings. The Strawberry Milkshake came first. 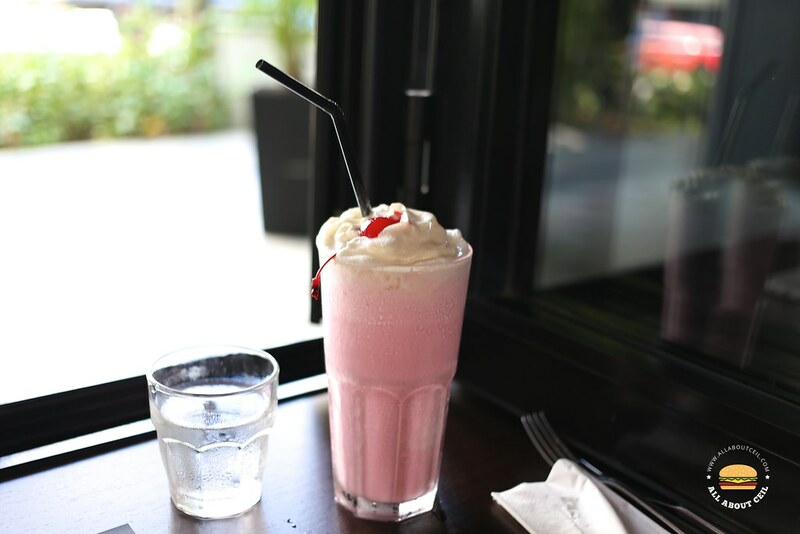 The chilled milkshake is made of real ice-cream topped with whipped cream and a maraschino cherry. 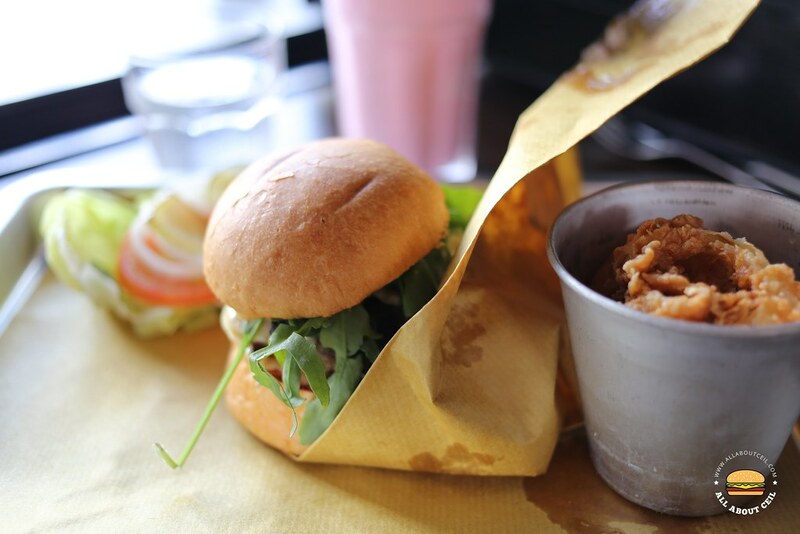 I waited for quite a while for it to be served but it is well worth it though as the burger arrives juicy and tender with crispy onion rings. 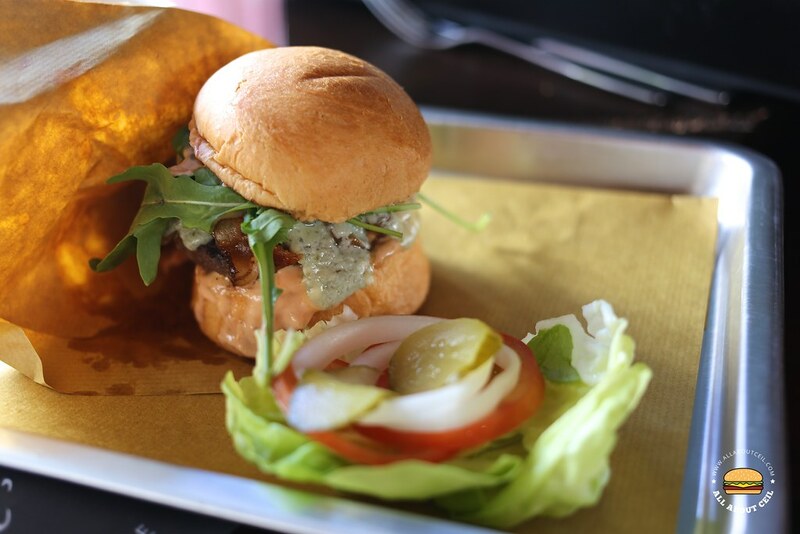 The Number One burger is a classic American burger with a premium twist which comprises of USA Angus beef patty, creamy Crescenza cheese, Gorgonzola Prelibato cheese, smoky bacon, caramelized onions, arugula with Thousand Island sauce. The burger for lunch special is the smaller version as compared to their ala-carte order and even so, the meat to bun ratio is quite perfect, without being overwhelming and the buns were not too dry but eating it can still be quite messy though. Overall, it is not great, but it is not half bad as well though the taste can never be as authentic as their original outlet in Los Angeles. And, night owls will be glad to know that the last call for the kitchen is 3 am on Fridays and Saturdays and 2 am for the rest of the week.